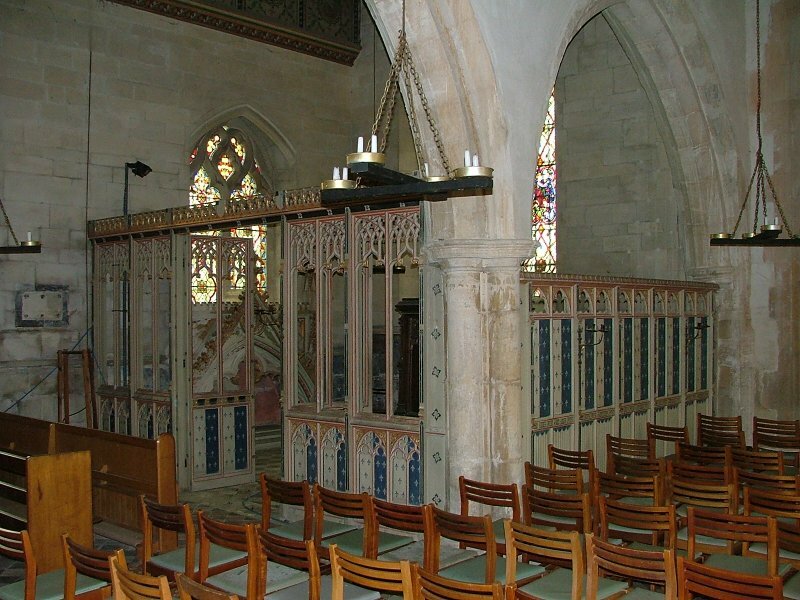 If there was permanent public access to St Mary, then it would never be empty - you could never be alone here. 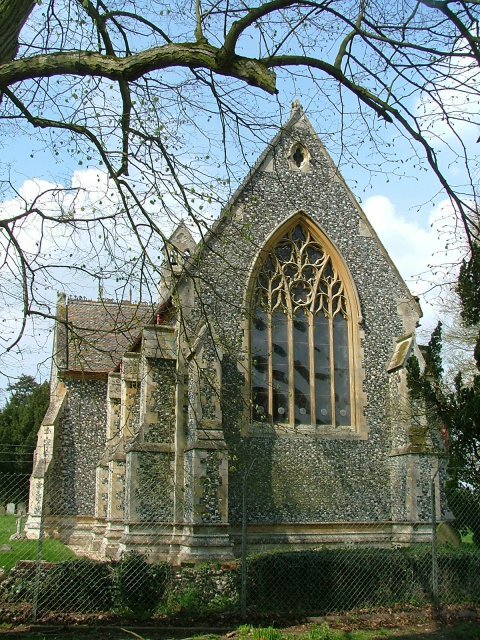 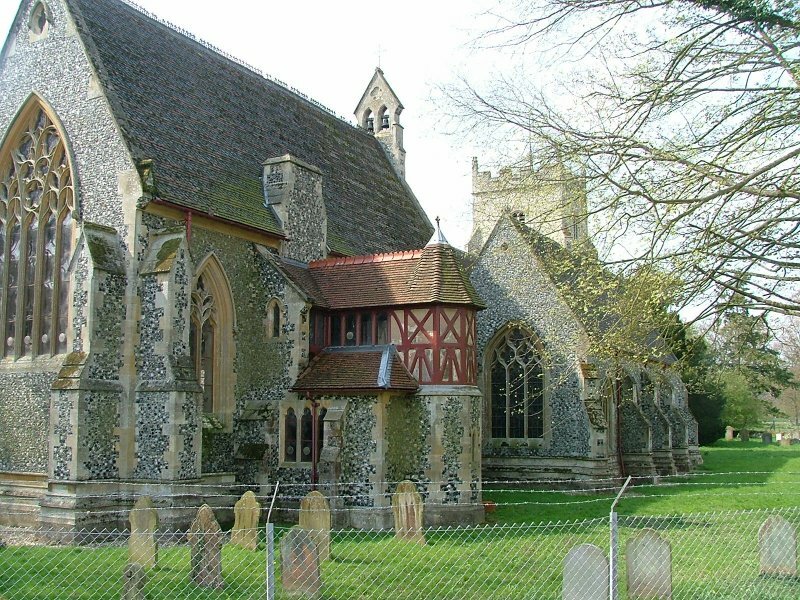 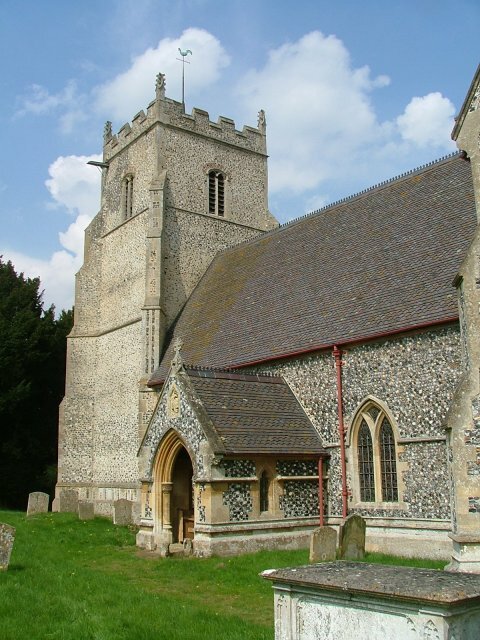 This extraordinary building would be the focus of pilgrimages by church crawlers, Pugin fans and casual visitors who just wanted to gawp in amazement. 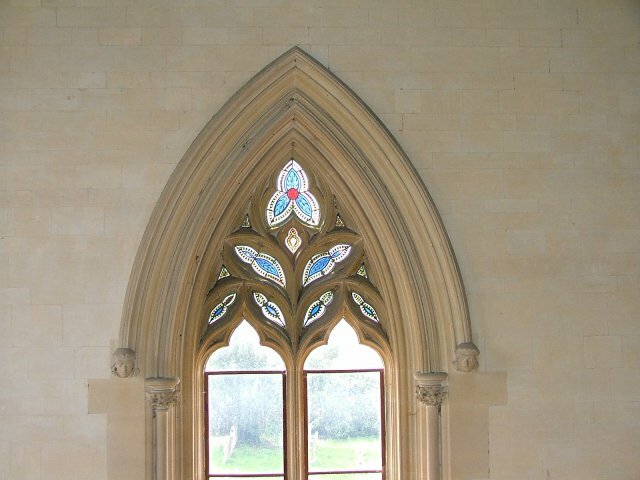 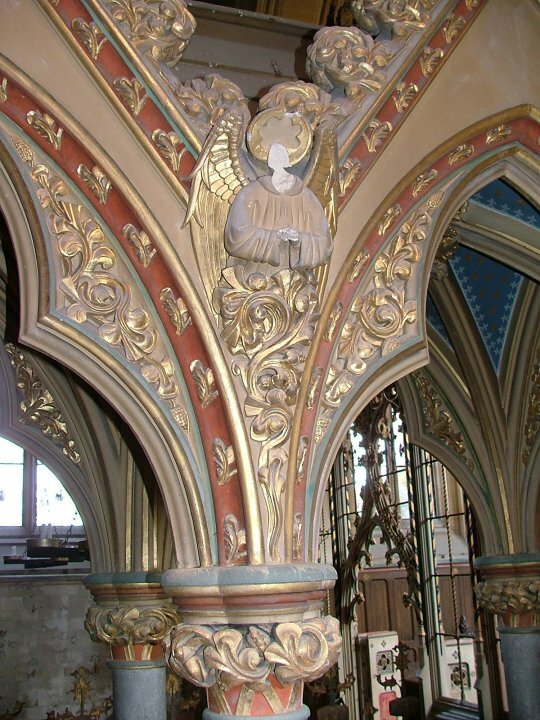 In the second half of the 19th century, a typical rural medieval church was turned into a Gothic fantasy thanks to the fabulous wealth of the Sutton family of Lynford Hall. 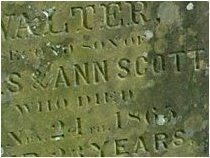 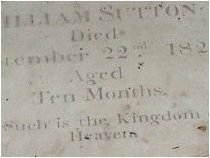 They presented to the living, and Augustus Sutton was at once Rector and resident millionaire. 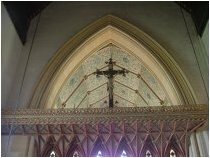 From the outside, the massing of spaces appears complex, because the chancel and north aisle are so much bigger and taller than the nave. 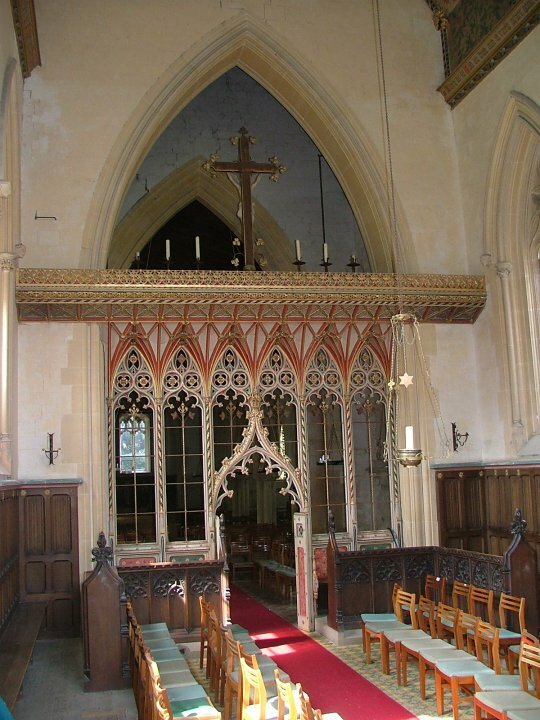 In addition, a half-timbered extension on the north side of the chancel lends an air of fantasy. The sanctus bell turret at the west end of the nave creates an illusion of two separate churches close together. 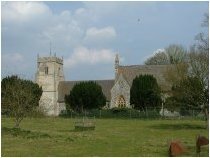 The churchyard is set back from the track that was once the village street, but the avenue of lime trees still leads up to it just as it did a century ago. Today, when St Mary is used for its annual carol service, the avenue is lit up so that former parishioners can walk to it as it once was. 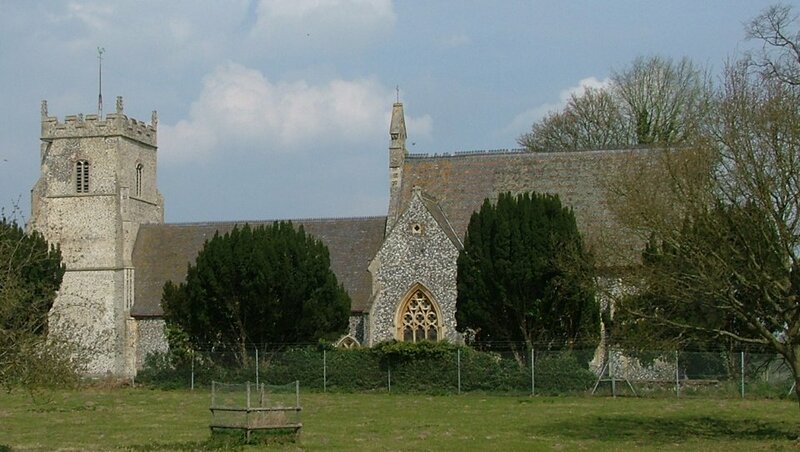 However, there is also a track that leads up to the church from where the pub yard used to be. 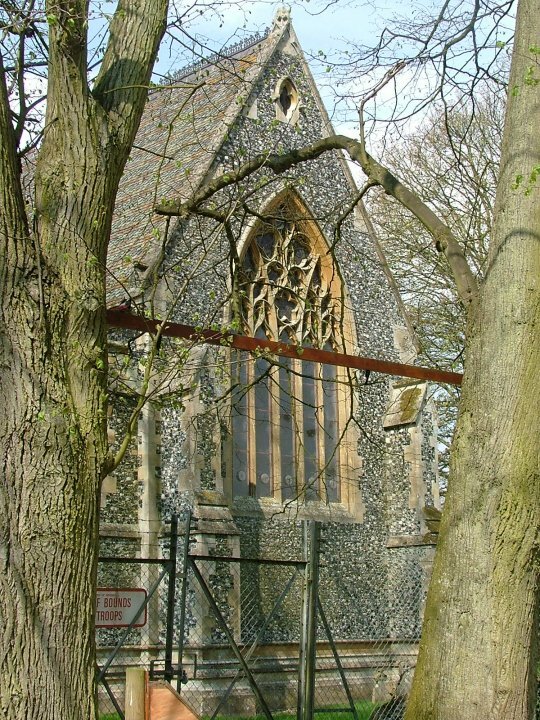 The great building appears shoe-horned into its narrow churchyard, which has more headstones in it that the other three training area churches put together. 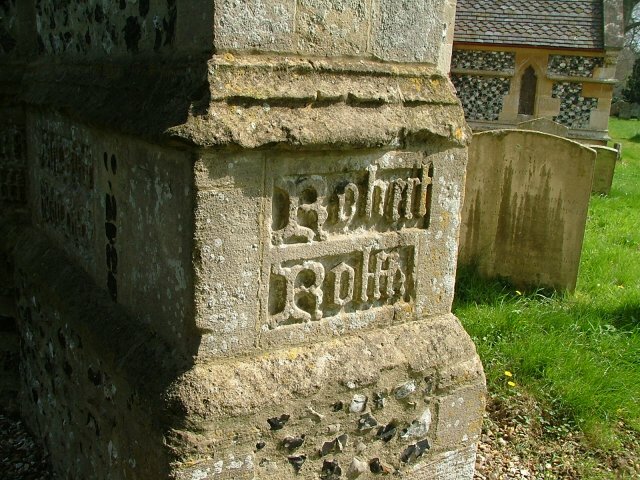 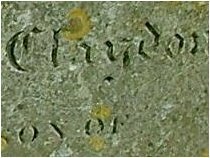 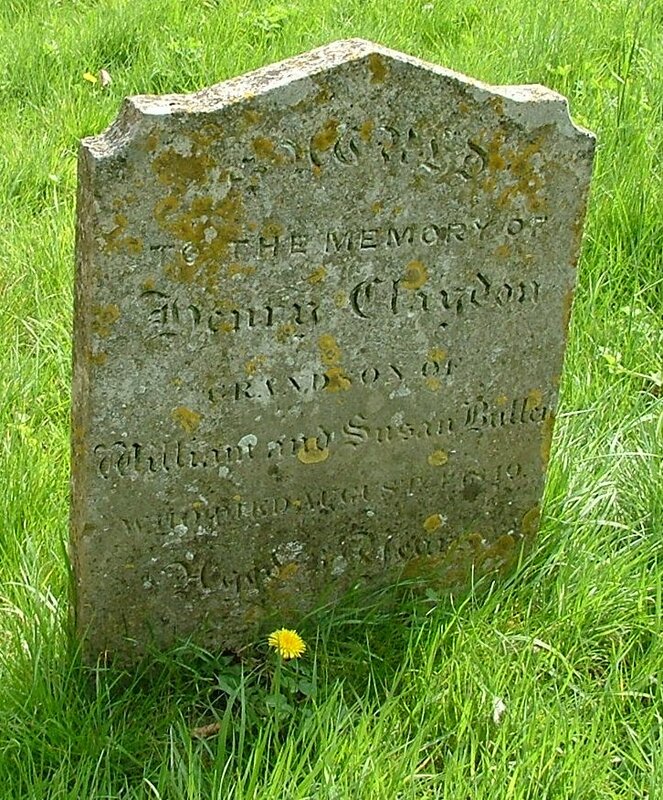 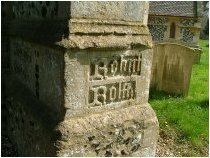 The 14th century tower was probably built by the same master mason as that at Santon Downham in Suffolk, about seven miles away; the inscription of donors' names at the base is identical, although the central part appears to have been replaced - was there a west door here in the years after the Reformation that Pugin did away with? 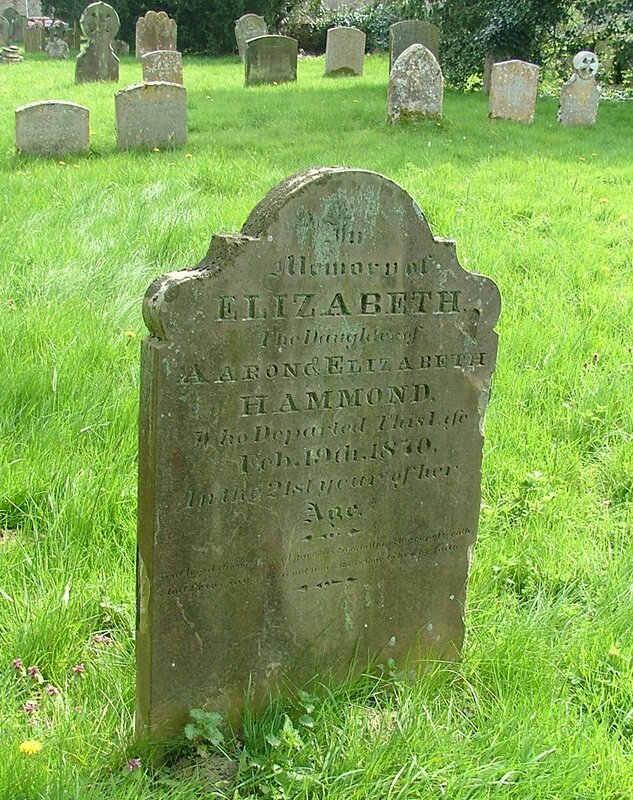 If so, it would have face away from the village, but perhaps towards a big house. 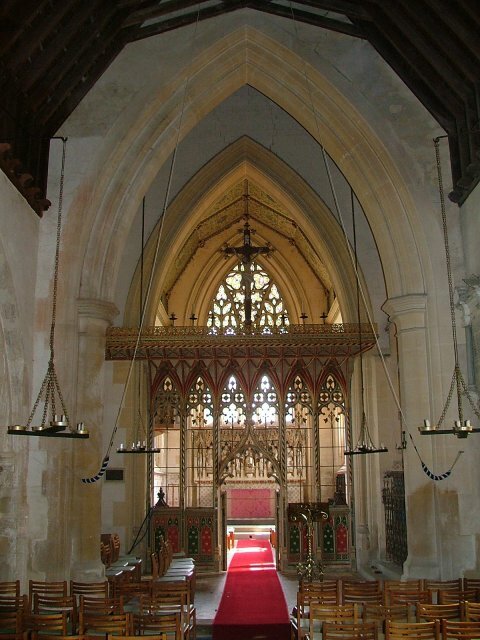 The original nave remains, but the chancel was replaced by a new construction which dwarfs it. 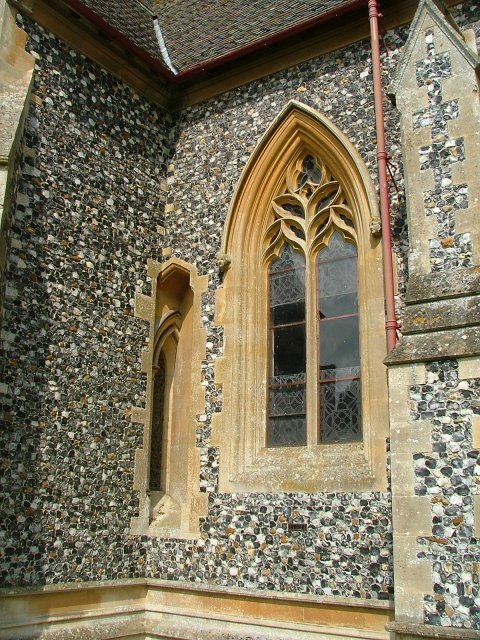 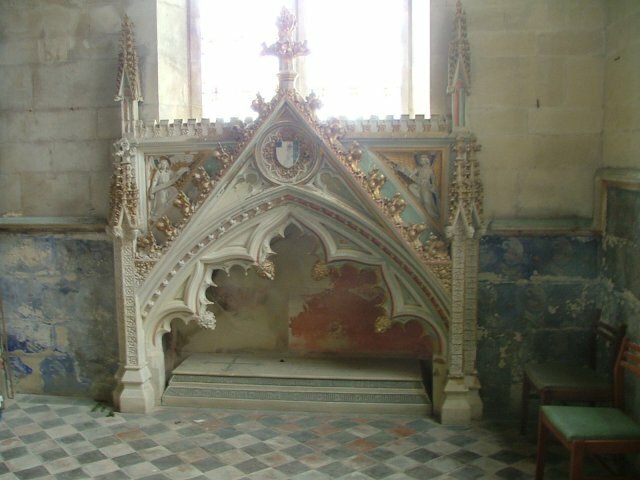 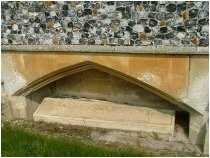 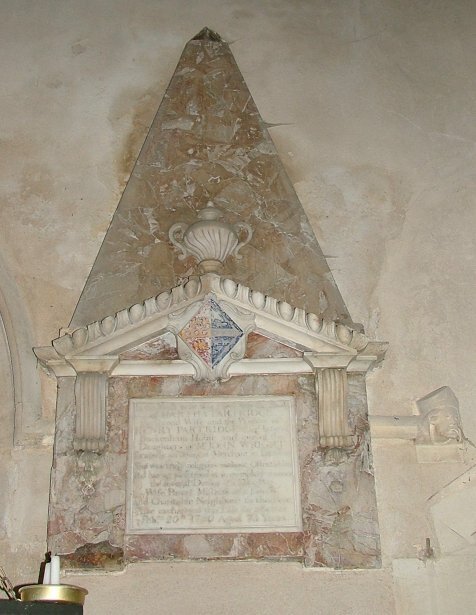 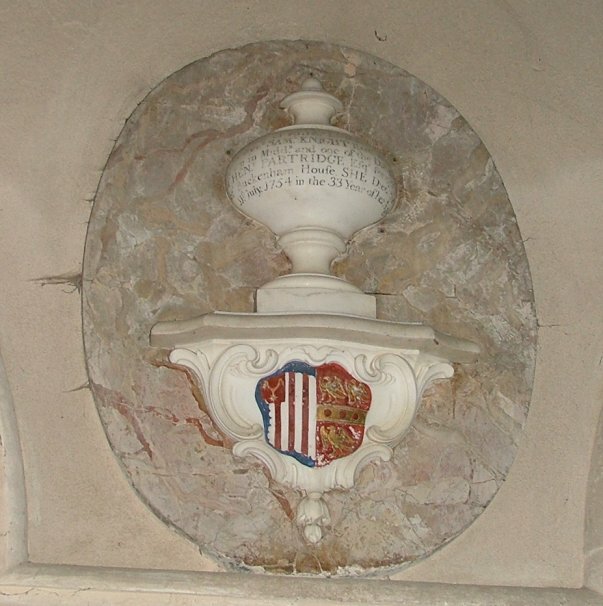 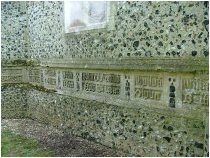 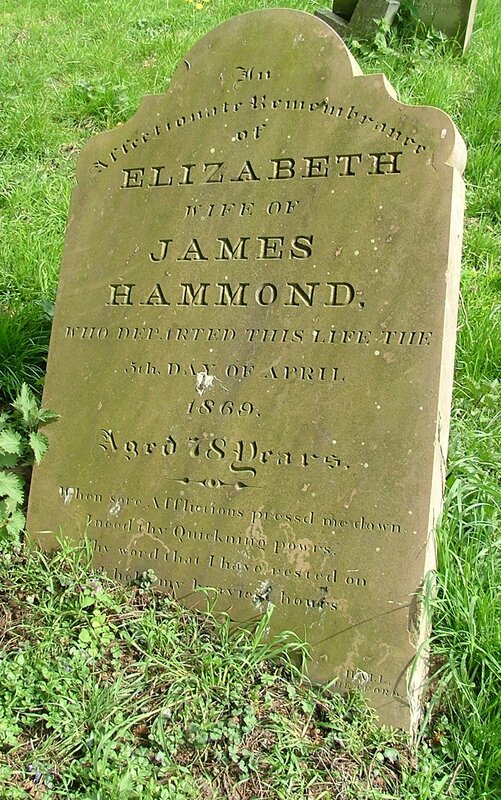 A transept forms a memorial chapel to Jane Mary Sutton, and a tomb recess on the outside of the chancel contains her husband Augustus, who paid for it all. 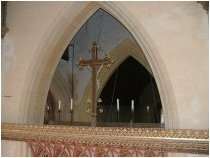 You step into a clean, bright space; although disused for thirty years, the church was returned to use in the late 1980s. 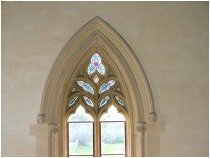 Turning east, you see the gorgeous roodscreen which formed the centrepiece of the Pugin exhibition at the Victoria and Albert Museum. 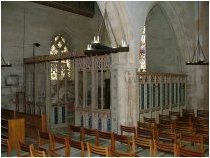 The space is enhanced by the removal of pews and their replacement with simple chairs, which always looks good. 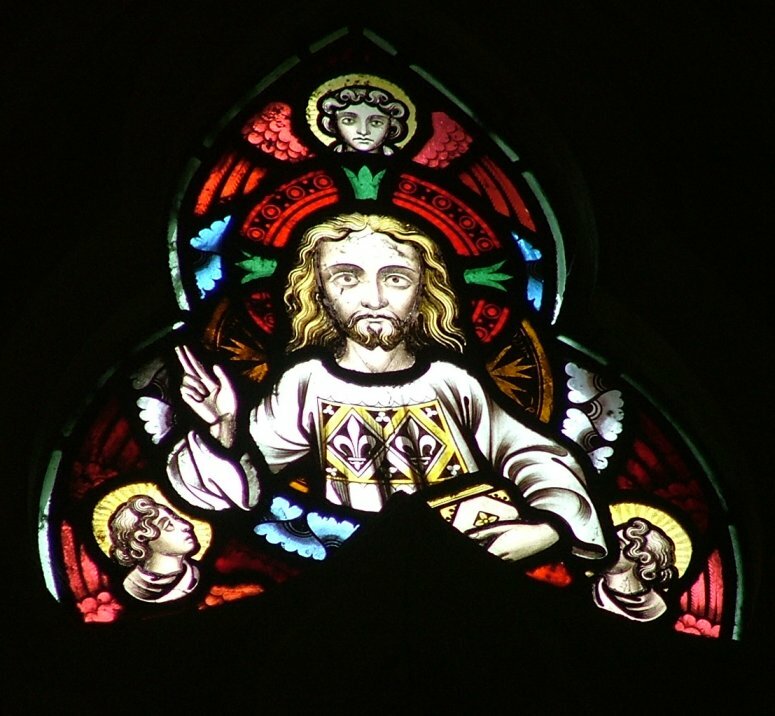 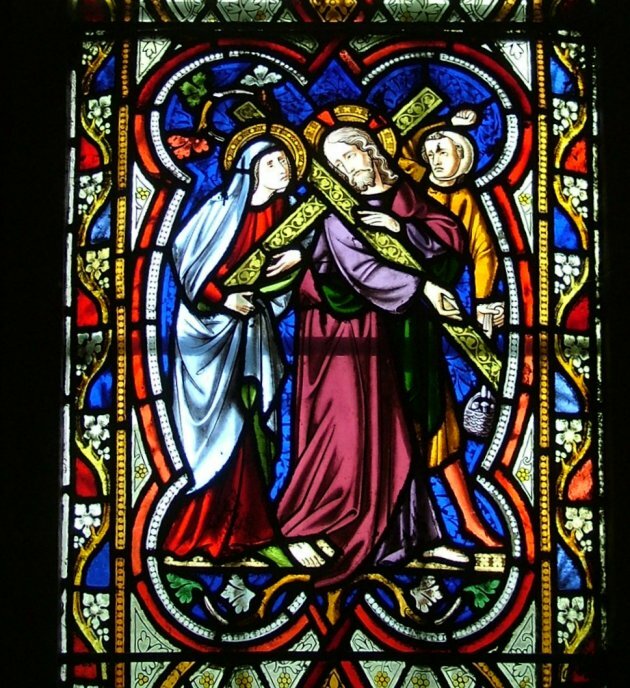 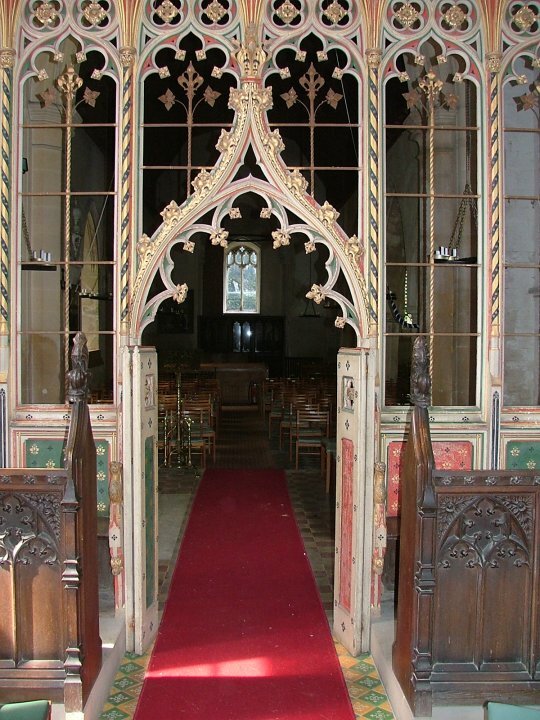 It also sets in relief the beautiful parclose screen to the chapel in the north aisle, also Pugin's work. 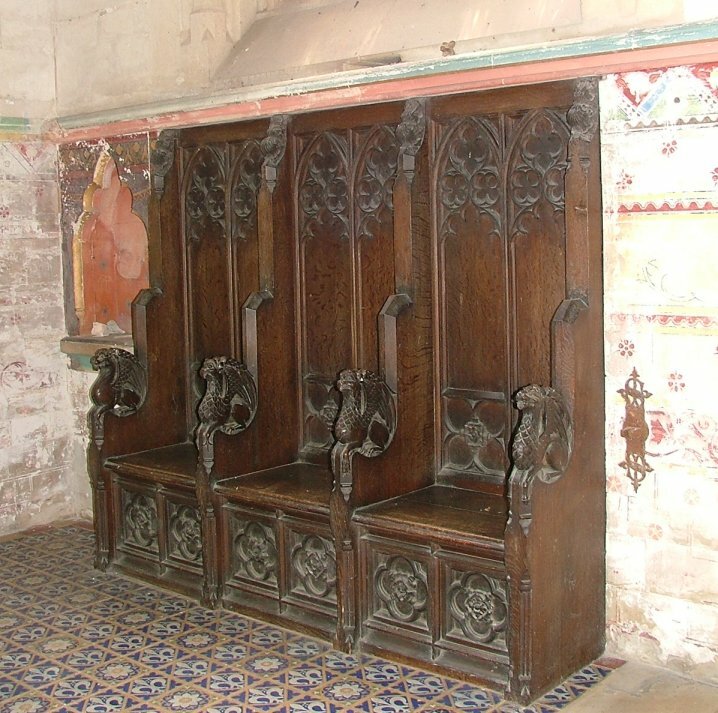 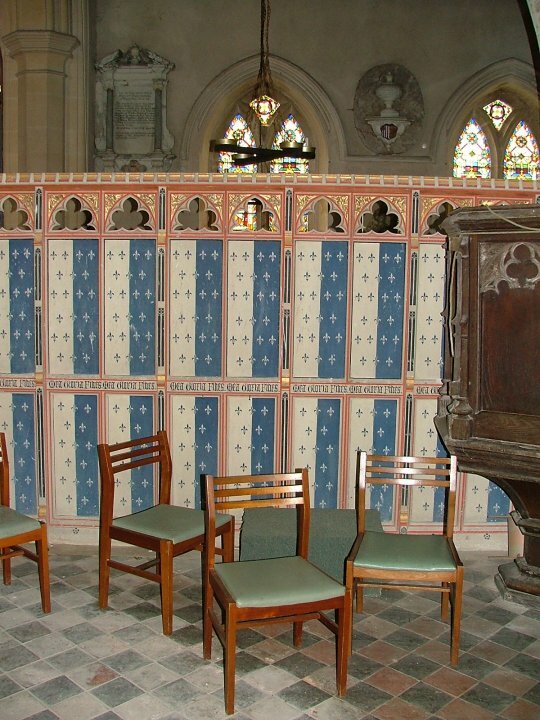 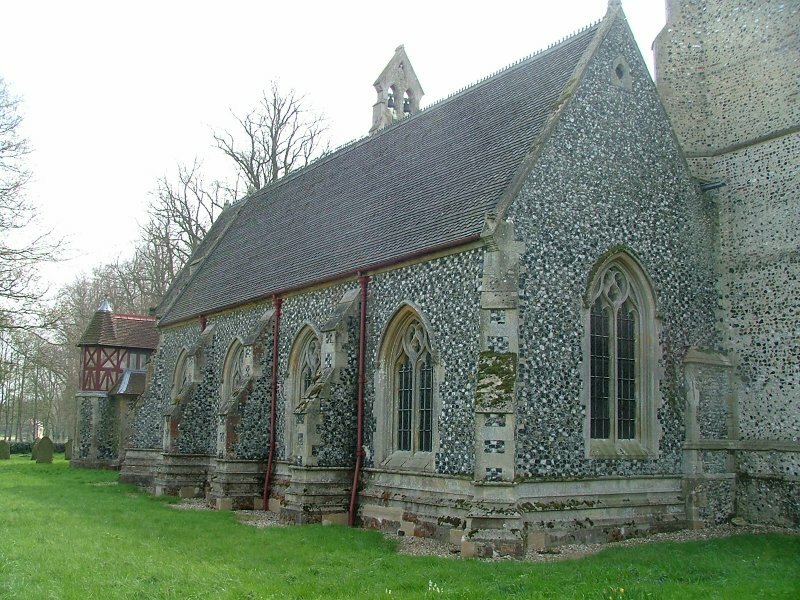 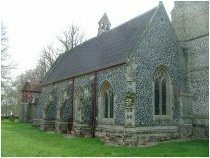 This chapel is designed as if it was a chantry, and contains another tomb in a recess - it is as if the Reformation had never happened, which is precisely what Pugin hoped and intended. 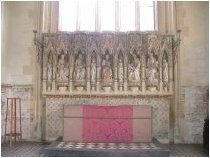 The two most extraordinary features of the building are the memorial south transept chapel and the chancel. 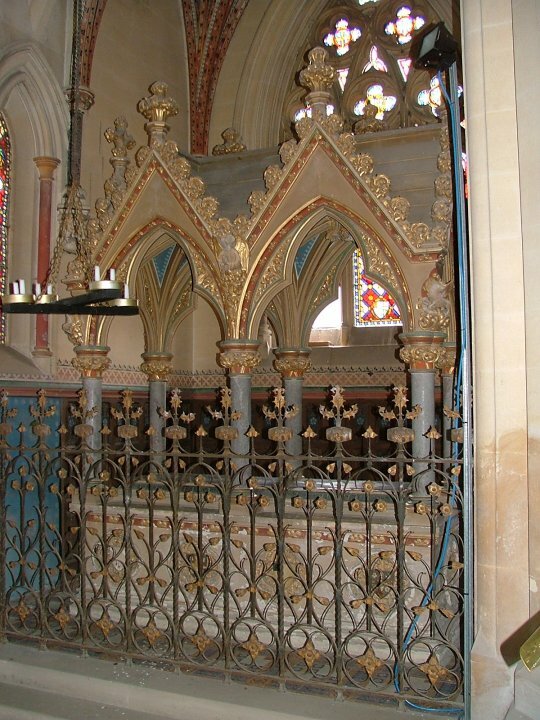 The chapel is extraordinarily elaborate. 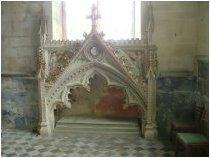 I stepped through the wrought iron gate to the fantastic tomb; it was a bit like coming across the Albert Memorial in a junk shop. 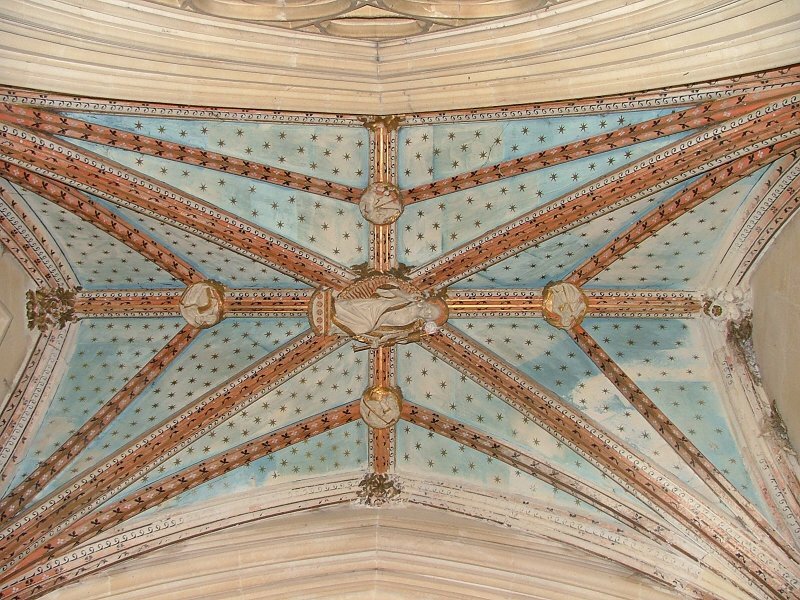 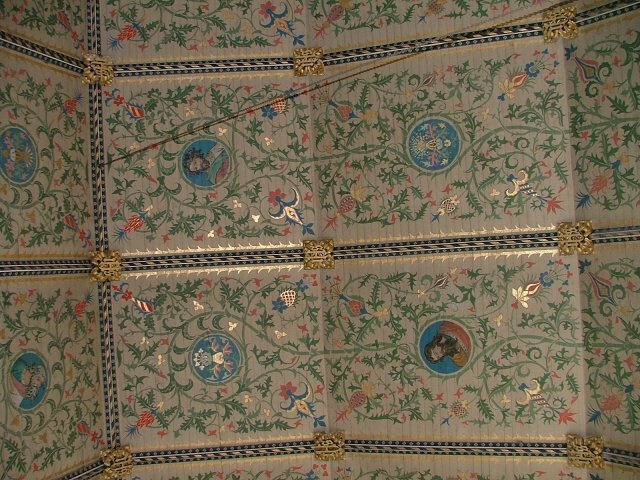 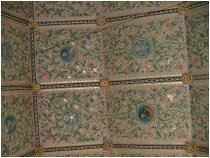 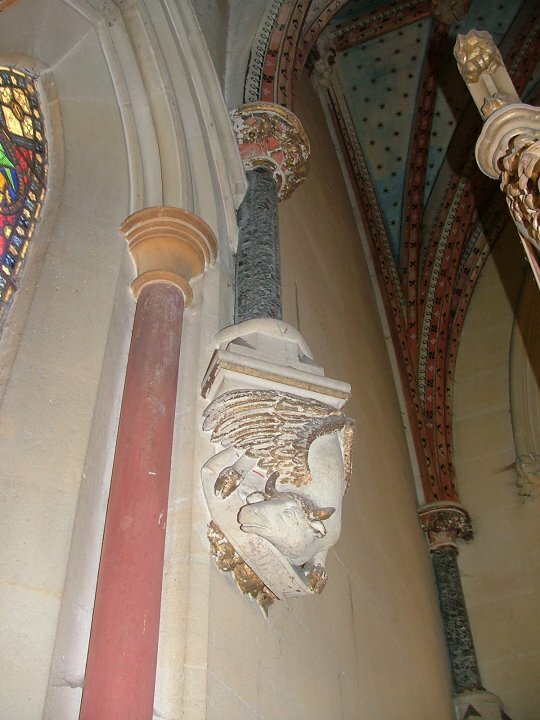 The walls and roof of the chapel are highly carved and decorated. 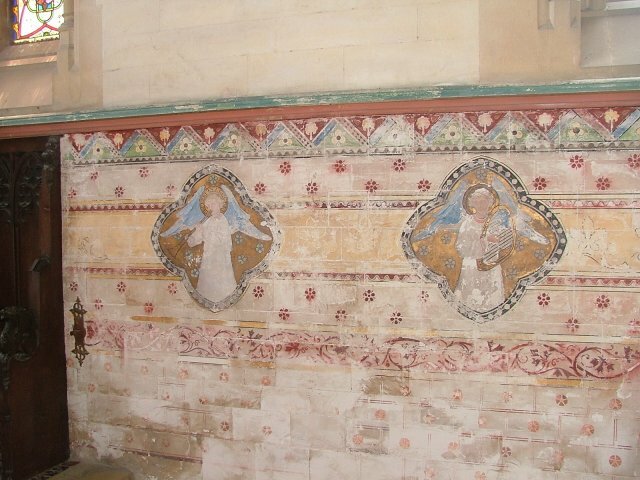 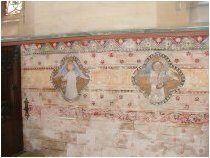 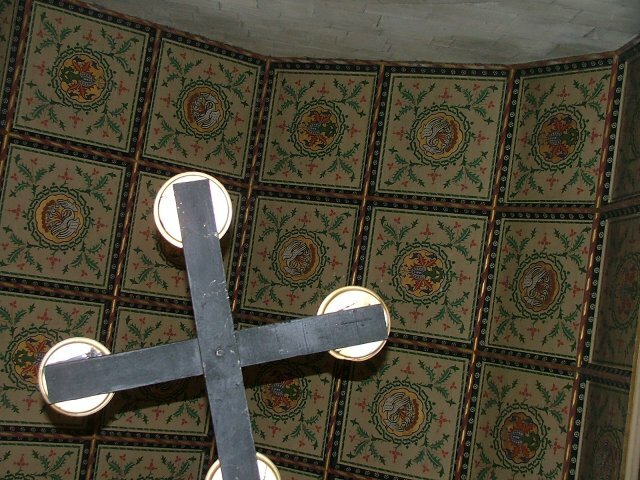 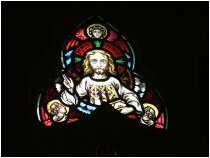 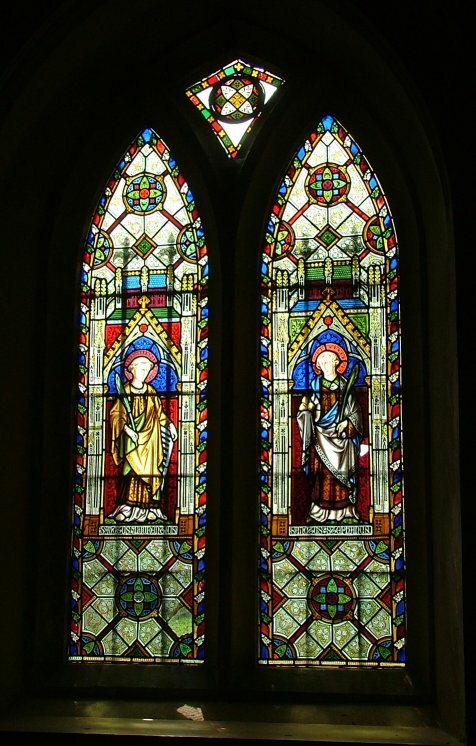 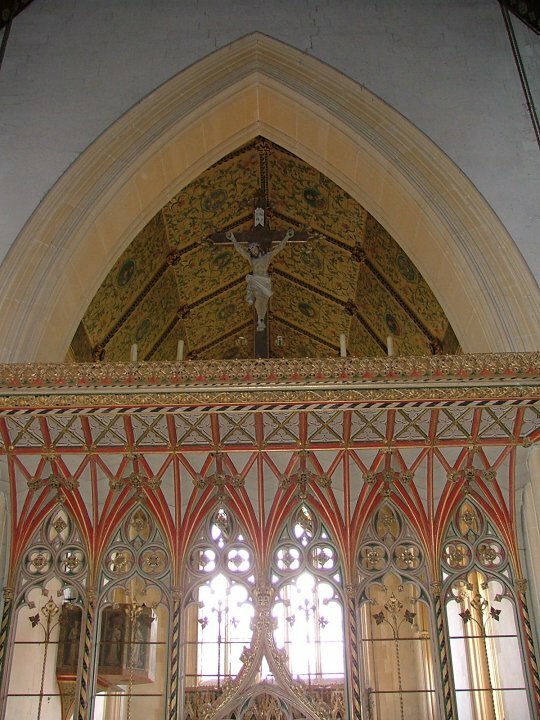 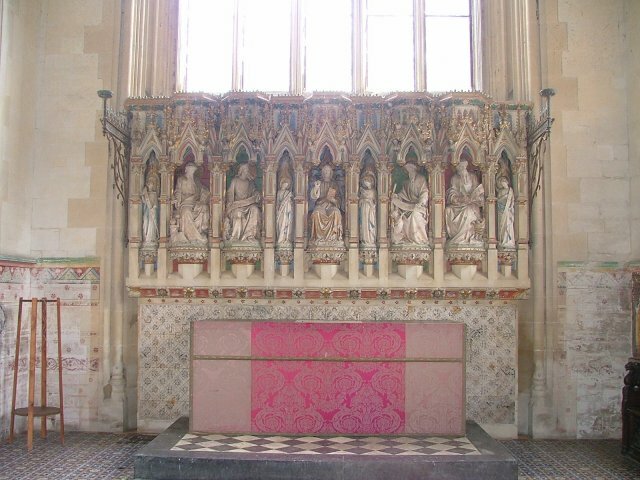 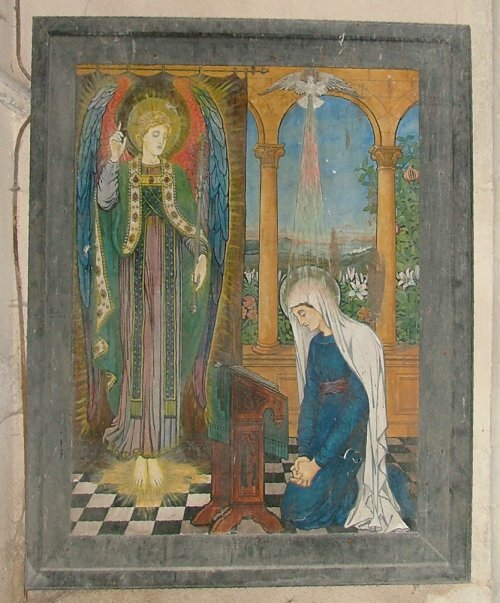 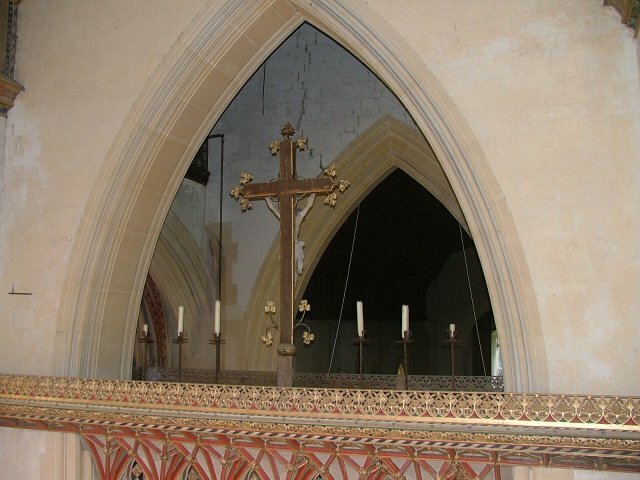 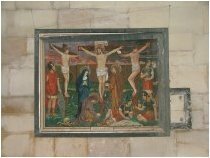 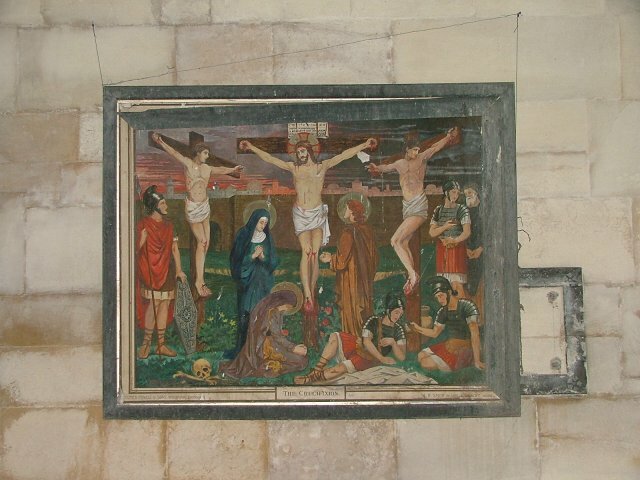 In the chancel, Pugin decorated the walls with stencilling and set an ornate reredos beneath the east window - sadly, all the coloured glass beneath the top lights has now gone, but the stencilling is a rare survival, since so much of this kind of thing was destroyed in the 1950s and 1960s. 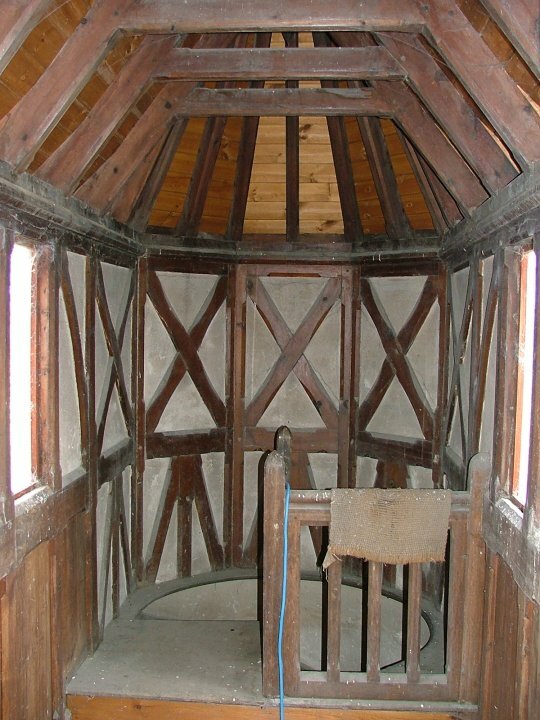 A stairway from the vestry leads up inside the half-timbered stairwell to the organ loft, which projects out into the chancel. 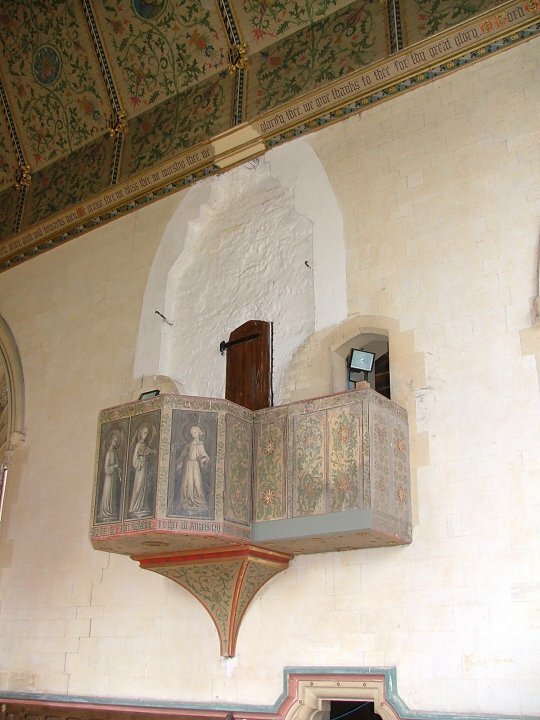 I was in such a hurry I banged my head on the low lintel at the top. 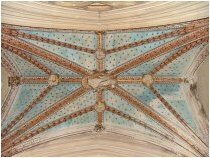 The organ itself is now at South Pickenham, but you can stand on the balcony for a tremendous view of Pugin's rood loft. 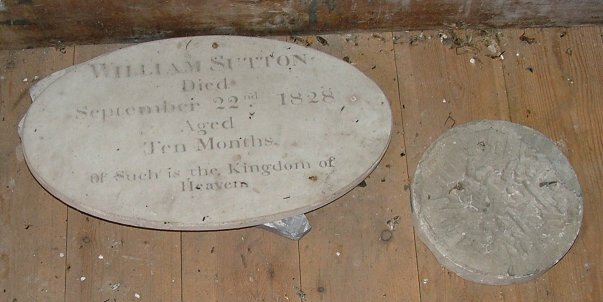 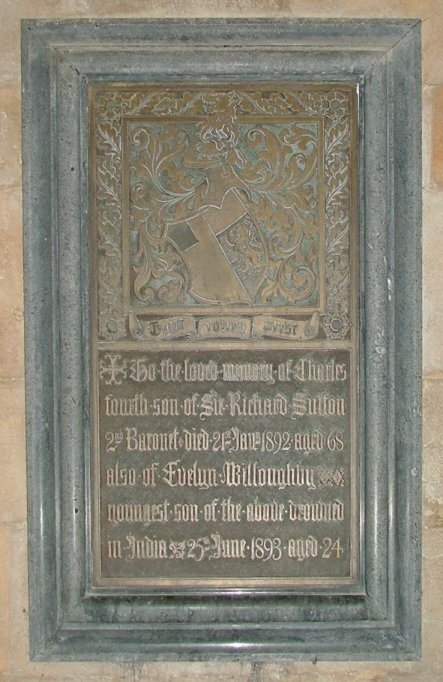 On the landing floor lies the lonely memorial plaque to one of Sutton's children, to whom the organ was presumably decorated. 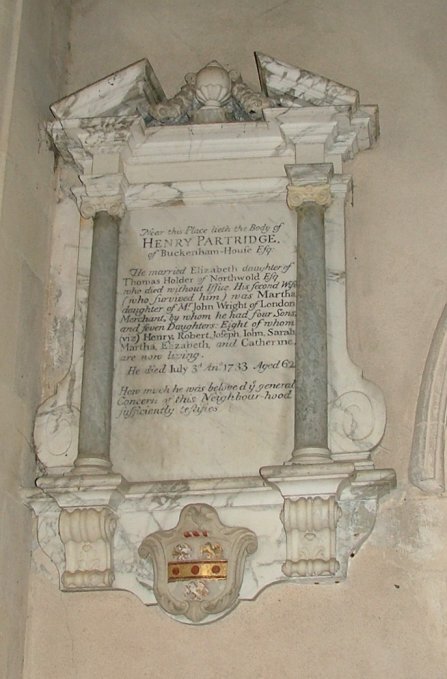 Back in the nave are some good 18th century memorials to the Partridge family of Buckenham Hall, and a series of curious 19th century paintings, found in storage in the vestry in the 1980s. 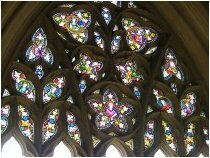 Some good glass has been returned to the building over the last few years, including some supposedly by Sutton himself. 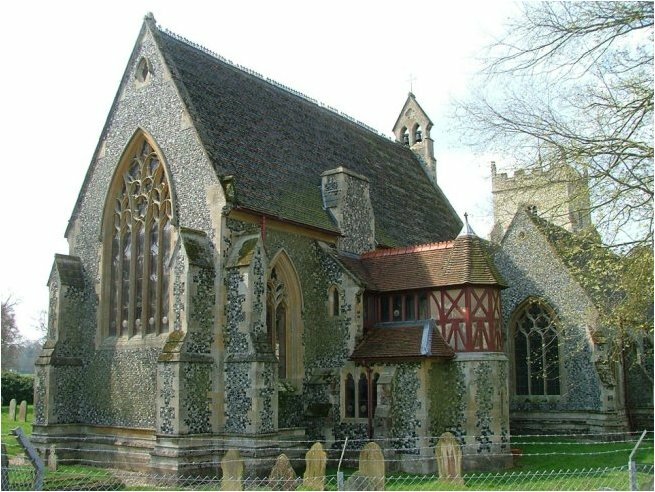 All in all, this is a church with a future, and it wouldn't take much to turn it into a venue for concerts and other performances. 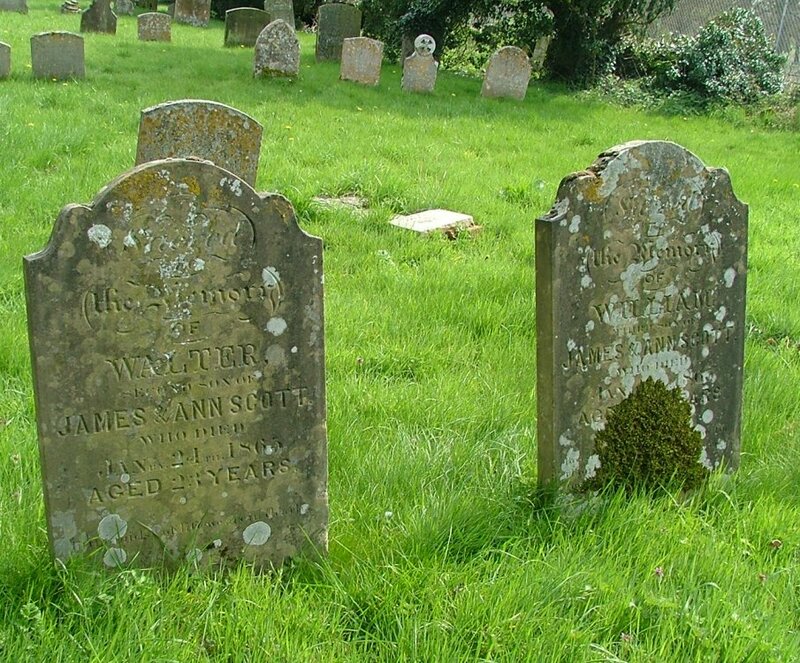 Perhaps this is its future. 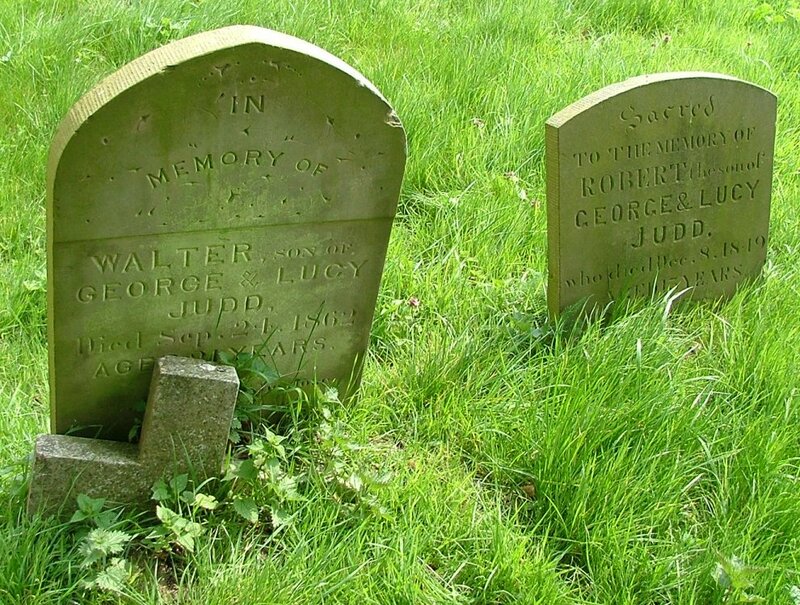 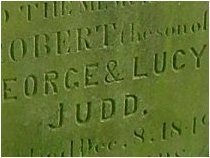 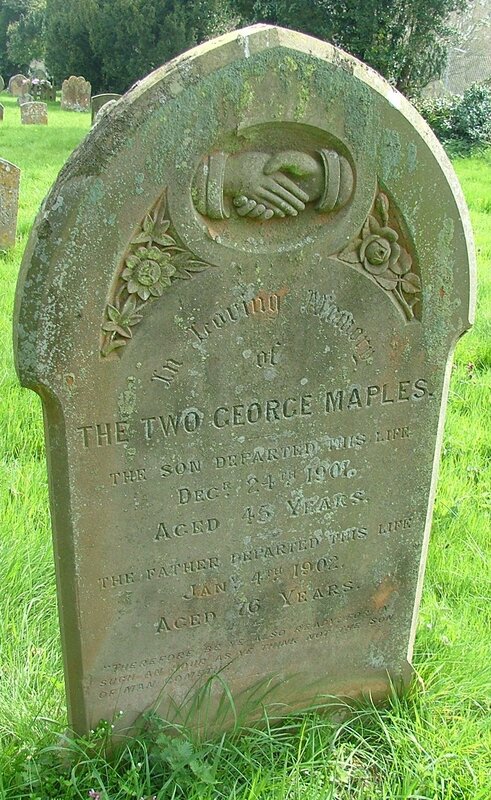 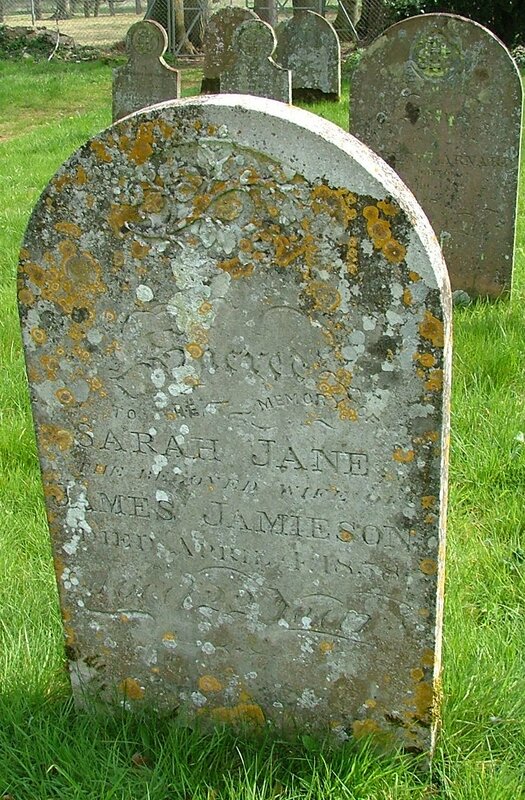 Outside, my favourite headstone is to The Two George Maples, father and son, at the start of the 20th century.